One of the coziest stops you’ll make along your way in the Upper Peninsula is at Keweenaw Brewing Company. 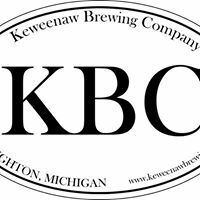 KBC is the Upper Peninsula’s most productive brewery, drawing crowds from far and wide with brilliant, aromatic, and famously inexpensive craft brews. KBC also distributes beer across Michigan and well into Wisconsin and Minnesota. Grab a snack then head over to the lounge area to enjoy your beer(s) around the brewery’s irresistibly cozy fireplace.